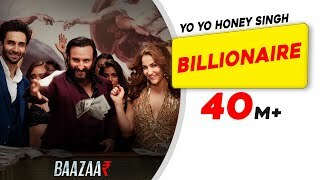 Yo Yo Honey Singh’s song from Saif Ali Khan starrer movie – Baazaar, is out now. 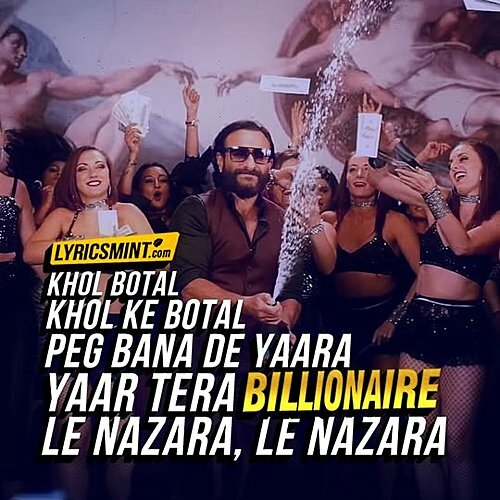 The song is titled “Billionaire” which is sung by Yo Yo Honey Singh, Singhsta and Simar Kaur. It has music composed and produced by Yo Yo Honey Singh while lyrics are written by Honey Singh, Singhsta and Hommie Dilliwala. The music video of Billionaire is directed by Adil Shaikh which is picturised on Saif Ali Khan, Rohan Mehra, Elli Avram.